You are here: Home / Style & Lifestyle / DIY & Design / The Price of Fashion: How Much Is Too Much? The Price of Fashion: How Much Is Too Much? Like other fashion insiders, I never pay full retail price. Thankfully it’s a perk of my job, but it is also on principle: most clothing today is not worth its price. 30 years ago, a Sony Walkman was $100 and today an iPhone is about $300 – completely justifiable, in my opinion. 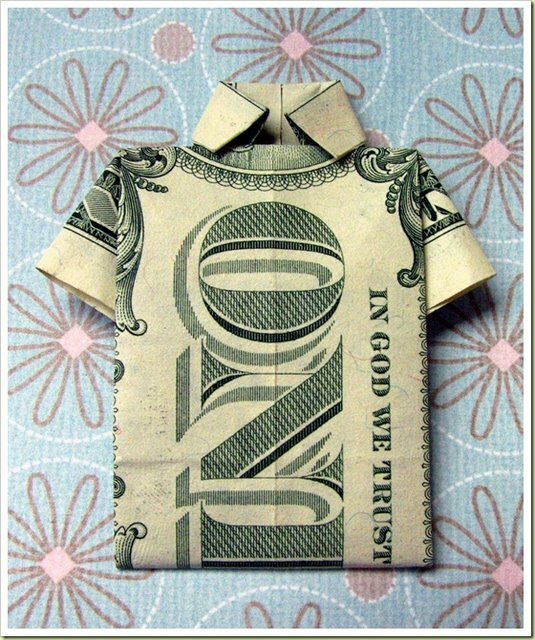 But how did $10 t-shirts become $100 t-shirts in the same amount of time? And designer jeans jumped up from $30 to $250. Inflation and technological advances couldn’t even begin to explain the discrepancy. Actually, cotton prices have gone down over the decades thanks to advances in mechanisation, fertilisers and pesticides. Our parents paid significantly more for their clothing. However it was such good quality that people are still hunting it down in vintage shops today. Raw cotton currently is about $0.80/pound and superior cottons like Supima, pima and Egyptian cottons go for up to $1.40/pound (the average t-shirt requires one pound of raw cotton, jeans double). Any t-shirt under about 17€ is made of inexpensive cotton and treated with chemical softeners to give it the feel of a finer cotton (eventually washing out). A simple pima cotton t-shirt would cost around 7€ to make and normal wholesale and retail margins of 2.5 brings your price up to 45€. In 2009, The Environmental Justice Foundation and Anti-Slavery International accused H&M and Zara for using Uzbekistani cotton picked by children and H&M admitted it did “not have any reliable methods” to control who picked their cotton. H&M, like many, produces in third world countries such as Cambodia (average factory worker salary: $66/ month for a 70 hour workweek), Bangladesh ($36/month, 100 hour workweek) and China ($200/month, 84 hour workweek). Depending on how insane the factory owner is, a t-shirt “should” take 2-5 minutes to sew and jeans 6-12 minutes, otherwise the employee-slash-slave is sanctioned. By outsourcing to a third world country, brands can also avoid stringent American and European labor laws, unions, environmental protection regulations, obligatory insurance and the higher cost of warehousing. The CEO of True Religion, a popular premium denim brand, told The Wall Street Journal that it costs $50 to make a pair of his jeans in Los Angeles (retail price $300 with fair 2.5 margins) but if he made them in China, their retail price would be $40. Delocalization to third world countries in 2006 helped Burberry turn itself around, but the savings were not passed onto the customer. In 2011, The Wall Street Journal reported that, “about 20 percent of Prada’s collections are made in China”. Again, the Prada customer has not seen any change in prices. 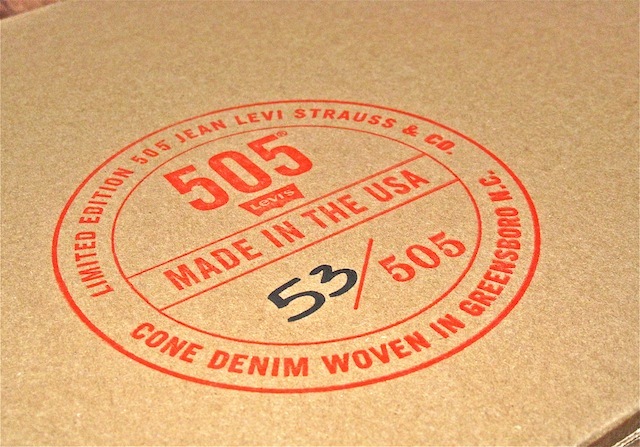 Some relatively new American premium jean brands (Tellason, Left Field, Deep Pocket) proudly source their denim from Cone Mills in Greensboro, North Carolina. Cone’s looms date from the fifties and give a beautiful and authentic texture to the denim, not to mention a more durable quality. Their employees have on average 20 years experience and are paid accordingly with full benefits. These “heritage” denim brands never distress their precious denim; it adds to the cost and reduces the longevity. Giving t-shirts and jeans a “lived-in look” can involve multiple rounds of stretching, dying, acids or pumice stone washings, and sandblasting. Fancy rivets, high quality dyes and embroidery also adds up. Innovation, too, has its price: Designers do trend and fabric research, teams make multiple patterns and have fittings to find the best cut. High street brands as a rule prefer to be economical and reuse their patterns and fabric many times over, thus lagging behind in innovation. On the other hand, this is one of the reasons they can operate with just a 20% margin, resulting in a more attractive retail price. Small brands need a 2.5 margin because they are basically a middle man, buying fabric, hardware and thread separately, each supplier tagging a cost on. Don’t forget that the expenses for website development, online/bricks and mortar stores, currency exchanges, shipping, taxes, duties, administration, and office space are also tacked on to each piece of clothing. Consumers continue to put pressure on the retail industry to provide ridiculously inexpensive clothing but the results are catastrophic. Not only is it impossible to make quality clothing at these prices, it affects the entire world ethically, morally and economically. Unfortunately manufacturing in third world countries means the true price will be paid further down the road: environmental damage, horrific working conditions of vulnerable people, economic stagnation in your own country, and the inferior quality augments consumption, creating a vicious circle. Next time you need to make a clothing purchase, consume smarter. Spend less by hunting down durable products. Research brands, demand natural fibres and check country of origin labels. Although you may pay a higher price initially, the price per wearing will be much more economical for both you and society. “Next time you need to make a clothing purchase” – I think this is where the whole problem lies today. We simply consume way to much clothing. We have over filled wardrobes and still buy more stuff. If we would just cut down on the buying – to the most necessary – that’d help a lot. Nice information though!